At the beginning of each morning, I sit down at my computer with a hot cup of coffee and a few minutes to browse through the for sale sections of our forums. 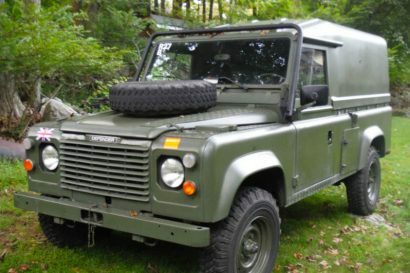 On any given day I may stumble upon Land Cruisers, G-Wagens, Unimogs, or vintage 4x4s, so few things ever surprise me, but yesterday, something did. 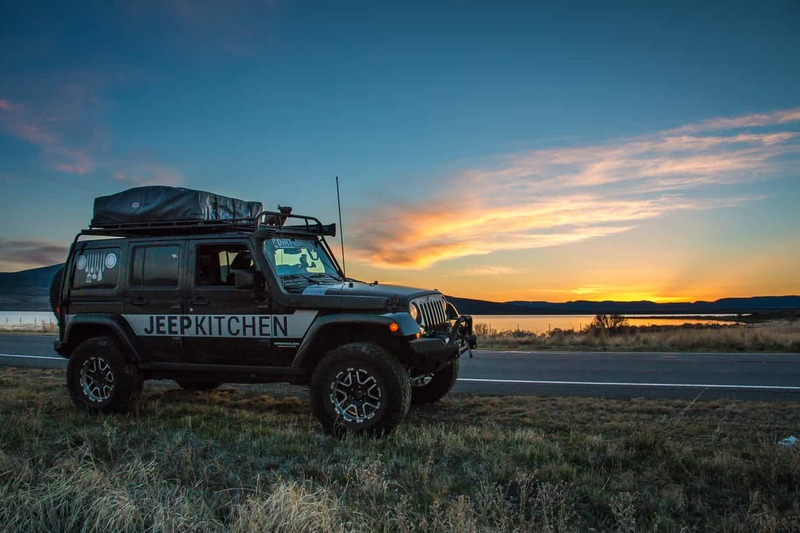 Under a rather unassuming listing for a Turnkey Overland JK, I found a vehicle that I had traveled in before: the Jeep Kitchen Rubicon. After taking it from Seattle to Las Vegas with the owner last spring, I had assumed he would never sell it. 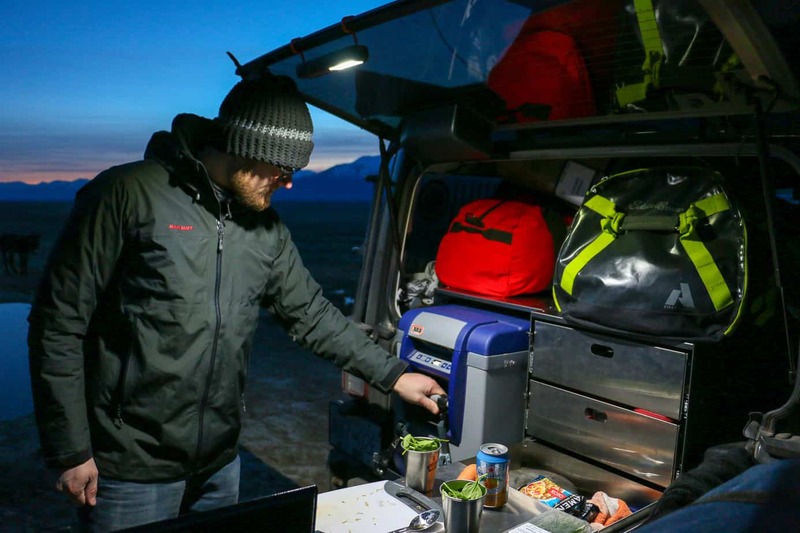 Al has his system dialed, but changing needs have forced him to move on to new things, and thus he has listed it with everything you’d need for your next trip—including the kitchen sink. This 2014 JK has 60,000 miles on the clock and is currently located in Victoria, British Columbia. It’s a Rubicon package, so you’ll get all of the off-road goodies like front and rear lockers, electronic disconnecting sway-bars, and 4:10 gears, but it is also fully loaded with options like leather interior, auto start, heated seats, navigation, DVD player, and of course, a rocking audio system. 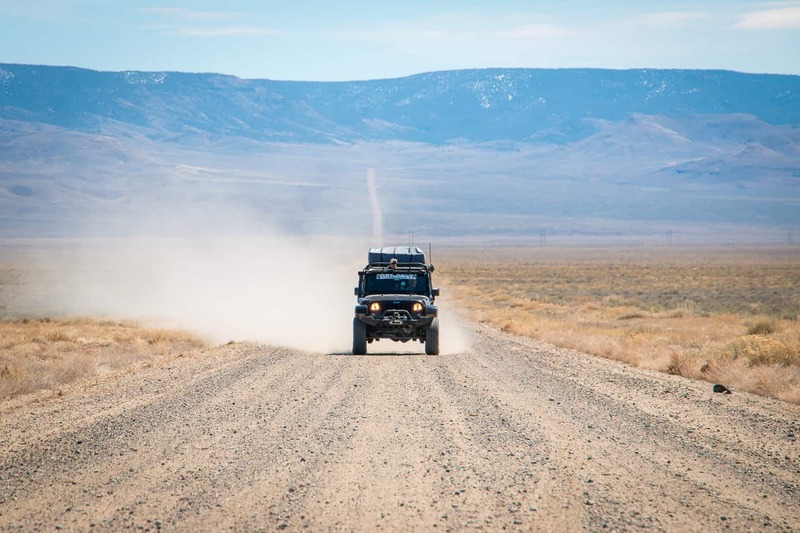 An American Expedition Vehicle’s 3.5-inch lift gives this JK a smooth ride and additional clearance, while also allowing for the fitment of 35-inch Toyo AT tires. An AEV raised air intake was also installed to keep dust and debris from entering the intake. 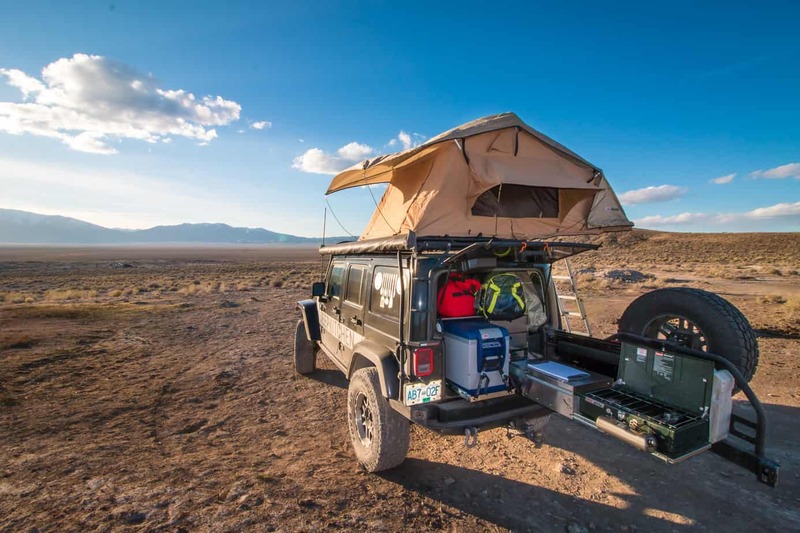 On top of the Gobi Ranger roof rack, which comes with the optional ladder and sunroof insert, you’ll find an ARB Simpson III tent and matching vestibule, along with an ARB 8-foot awning. 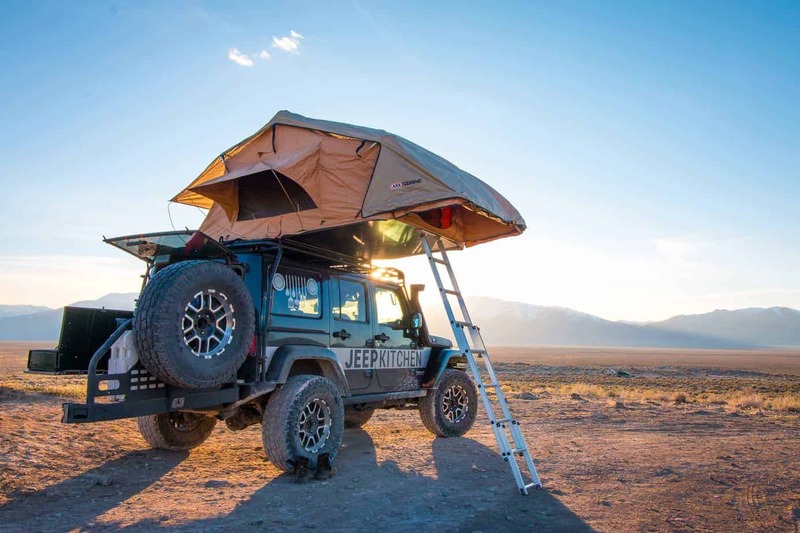 The awning also includes an attachable room for extra living or sleeping space on the road. 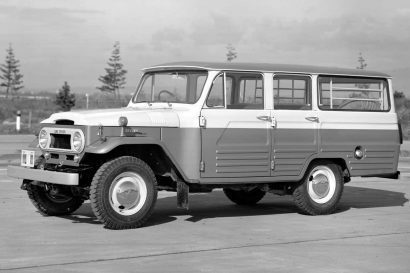 In the front, an atlas bumper houses a 10,000-pound winch, and a matching atlas rear bumper supports the spare tire along with four Rotopax; two for water, two for fuel. 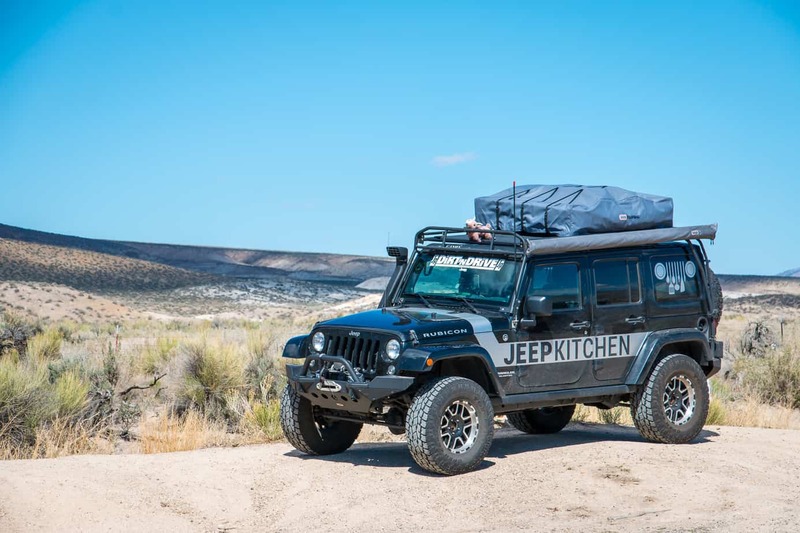 The grand finale of this package though is undoubtedly the stainless steel Overland Kitchen mounted in the rear of the Jeep. We reviewed this model last spring, and found it to be an effective and easy to use system for cooking on the road. 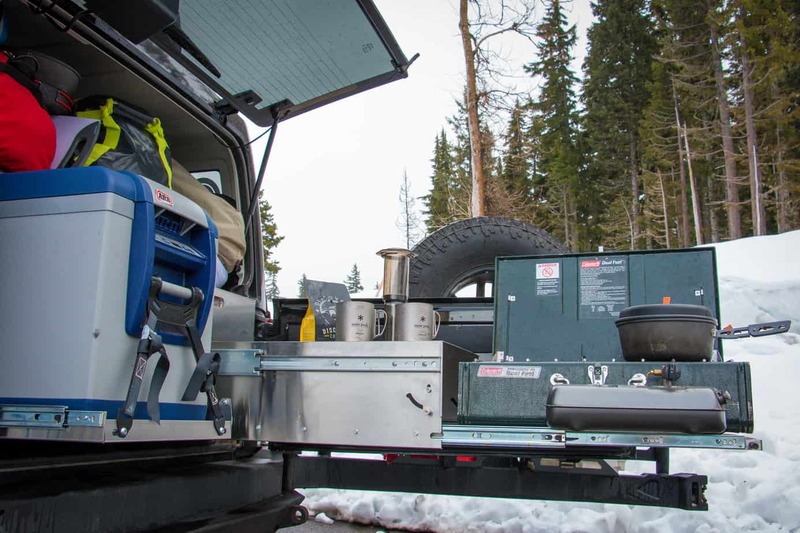 It features a slide-out ARB 50-liter fridge, a stove, table for food prep, and two drawers for storing utensils and dry goods. 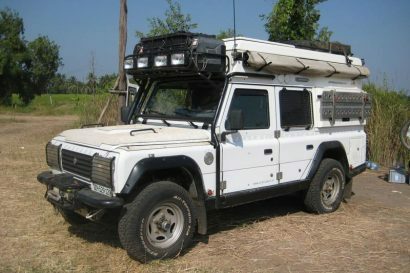 It is even weight bearing, and can be equipped with tie-downs to secure bags or recovery gear on the top shelf. If you want to learn more, you can read our full review here. 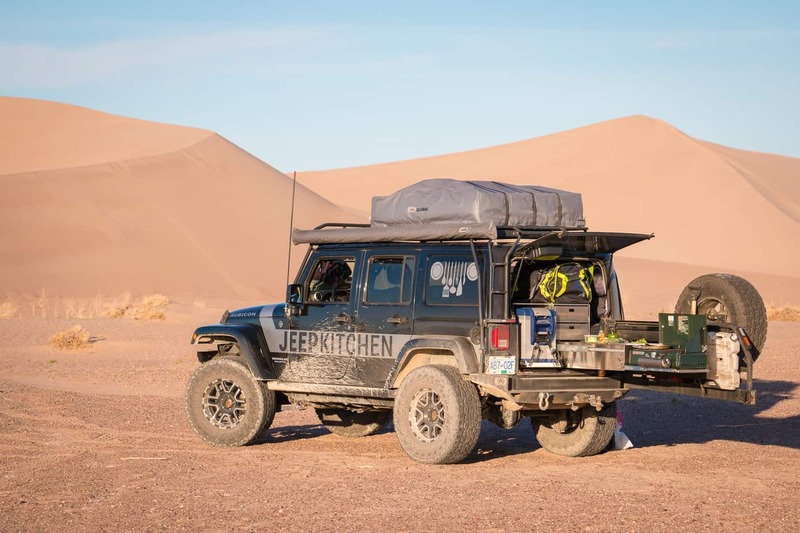 While this may not be everyone’s ideal Jeep, it is a great way to pick up a JK with all of the “overland kit” for less than the cost of a new loaded Rubicon. It might not be perfect, but it will do everything you ask of it, and hurt a lot less when you give it that first scratch. To learn more about this build, check it out on the Expedition Portal for sale sections here.